With a month to go for the FIFA Under-17 World Cup, the Local Organising Committee (LOC) and Sony Pictures Networks India (SPN) formally launched the official song of the tournament ‘Kar Ke Dikhla De Goal’. Written by lyricist Amitabh Bhattacharya and composed by Pritam, the song features a host of well-known music artists, including Sunidhi Chauhan, Neeti Mohan, Babul Supriyo, Shaan, Papon, Mika along with a rap performance by actor Abhishek Bachchan. The song showcases the vibrancy and uniqueness of India while resonating with a global audience simultaneously. 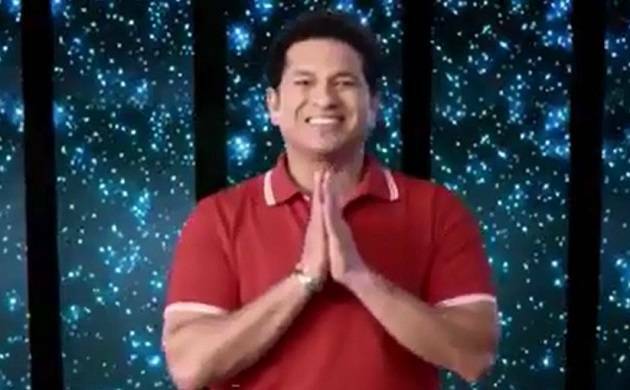 The music video of the song celebrates diversity, showcases how the nation is waiting in anticipation for FIFA U-17 World Cup India 2017, and features stars like Bhaichung Bhutia, Ngangom Bala Devi, Shaan, Papon and the cricket legend Sachin Tendulkar amongst others. The music video of the song will be broadcast on SPN’s on-air and digital platforms across genres. Rajesh Kaul, President Distribution and Sports Business, Sony Pictures Networks India, said, “We are ecstatic to be the first broadcasters in history to collaborate with FIFA to co-create an Official Song for a FIFA tournament. From the very beginning of this association, we have worked closely with the LOC/FIFA to ensure that FIFA U-17 World Cup India 2017 is a monumental success.? The U-17 World Cup, the first FIFA tournament to be held in India, will be played across six venues from October 6-28. Sony Pictures Networks India (SPN), the official broadcasters of the tournament, will telecast the matches live and exclusively on their sports channels and live stream it on their digital platform, SonyLIV.